and industries that work to improve quality of life, treatment, education and funding. Industry: The Manufacturers, 340b and Home Healthcare Companies who make and distribute life saving medicine. 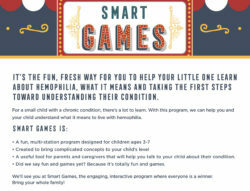 This entry was posted in Hemophilia Innovation, LLC on March 3, 2014 by Mike Rosenthal.